He lay on the pit floor, limbs stiff from lack of movement. The crawl space no longer accommodated his length. With no light to guide him, he planned each movement to avoid scraping against the granite. First, he shuffled his legs, then rolled his shoulders to bring back the circulation. His skin pulled and itched like the devil. The gouges must be scabbing over, he thought. He hadn’t tried to stand in a while, but he knew from the last time that he was almost tall enough to reach the pit’s lid. Just a little while longer and he’d try again. He was preserving energy and hoping to be healed enough to try jumping. She would come soon, he knew. For now, the darkness was reassuring. It calmed his mind. As long as he was alone in the dark, nothing hurt him. He didn’t hear her approach. He never did. Light peeked through the pit’s lid, casting the iron bars in distorted shadows around him. He trembled and buried his eyes in the bend of his arm. Panicked, he struggled to shove his gangly, pubescent body into a crevice between two outcroppings. If he merged with the granite walls, maybe she wouldn’t be able to find him and do more damage. “Come, come, now, little fiend.” Her voice cast a lure like the nectar of a carnivorous flower. He felt her mind rummage around for him like a blind man groping for his cane. Something new, he thought. Didn’t she know where he was? Couldn’t she see him? The pit was a scant six-foot cube and she waved the candelabra close enough so that hot wax splattered atop his forearms. Her ham-fisted attempts to locate him left him halfway between fear and confusion. Why couldn’t she see him? Or touch him with her mind? By now, he should be frozen, mid-air with tangled clops of hair his only clothing. Fear ebbed into curiosity. He dared to lower his arm and peel his lids open. Even with his head still bowed, the candle-glow forced him to squint. Here lay the true test, he knew. If his tormentor really couldn’t see him or sense him, she wouldn’t react to his gaze. He’d learned long ago to avert his eyes in her presence. He hadn’t glimpsed his tormentor up close in six years. The boy swallowed the upsurge of fear and snapped his head back before he lost his nerve. He blinked several times to sharpen his vision. He recoiled, scraping the skin at the point of his hip. Another blink, then he relaxed. Hair. Her obsidian tresses dangled down between the iron grate, seeming to reach for him. Her face was contorted from its cloying perfection, but not in reaction…more from anger or maybe frustration he guessed. He continued to stare, shocked, not sure what to do. How long would her…blindness or whatever it was, last? She started to screech obscenities and jab around with her mind. The violent brush of her mind jerked him from his stillness. He used the jagged wall behind him to pull himself upright. Gaunt, with wobbly knees and a hobbled gait, he crept close enough to fan his hand in front of her eyes. “Mama?” His voice sounded croaky from non-use. Then, he caught sight of his arm, the arm that should have been fanning before him. There was only empty space. With a huff of amazement, he glanced around him. His body cast no shadow. It was as if he had faded from existence, become part of the void. D. Alyce Domain. Is a long-time lover of creative fiction. 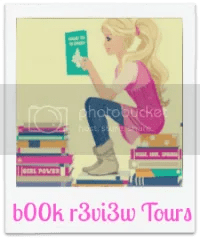 She learned to read with Dr. Seuss, grew up reading Sweet Valley High, James Howe, and Lois Duncan, and graduated to category romance with Harlequin and Silhouette in her teen years. Ms. Domain started out writing fan-fiction after her favorite fictional characters met with death and cancellation on network television. Inspired by the entertaining, multi-layered storylines created by so many female romance, young adult and television writers, she began to experiment with her own characters. 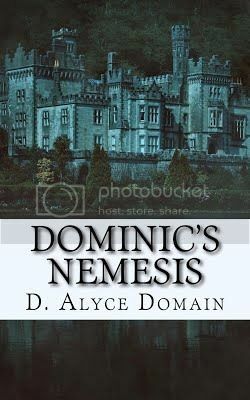 Coupled with her own unique brand of genre-bending romantic fiction, Ms. Domain was able to create a whole new world within the pages of her books.